The Power Rechargeable by Logic e cig is an innovative vaping system that utilizes unique, pre-filled 'cartridges' that make for an easy, mess-free way to refill your e-cigarette. The capsules each contain e-liquid and a coil - once it's used up simply swap out the old cartridge for a new one. The cartridges are available in 4 flavours; tobacco, menthol, vanilla and cherry. 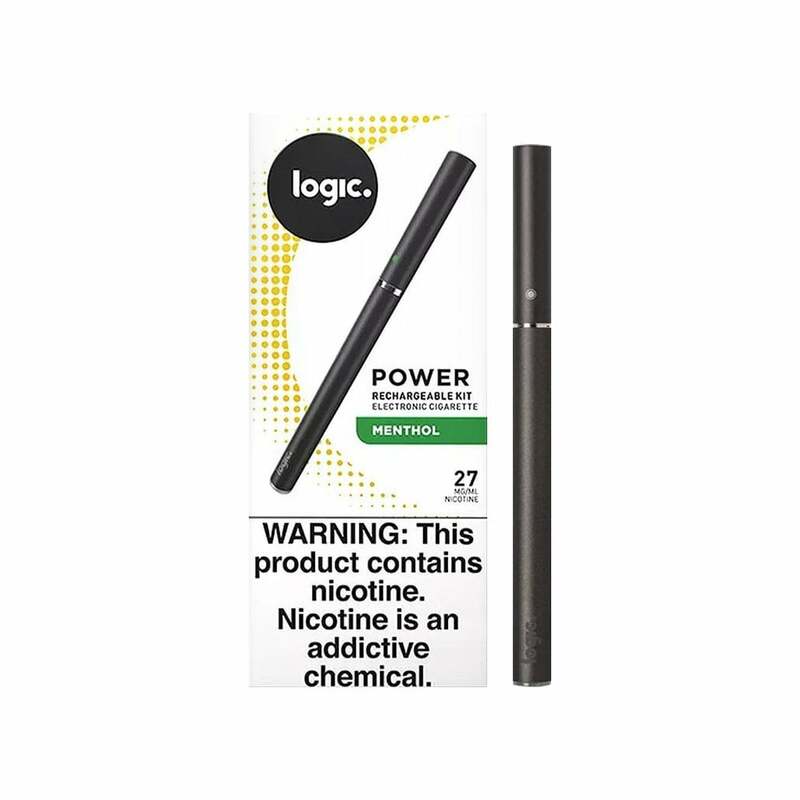 If you're looking for an e-cig that is simple and reliable, and is s sleek design approximately the size of a cigarette, the Logic Power Rechargeable is a great choice. To charge your Pro Vaporizer, simply unscrew the top 'tank' part from the battery and screw the supplied USB charger onto the battery. Plug the USB connector into a standard USB port or USB wall adapter. Charging should take 3-4 hours. Changing the cartridge couldn't be easier - unscrew the top 'tank' part from the battery and swap the used capsule for a new one. Screw the top back onto the battery and you're ready to go! I tried the Logic curve electronic cigarette in Europe and I liked it very much. I was able to immediately stop smoking real cigarettes. As that product is not sold in the US, I tried the logic power and I found no difference, except for the shape (I like the curve better). Very nice. Product was shipped the same day I placed the order and arrived fast.